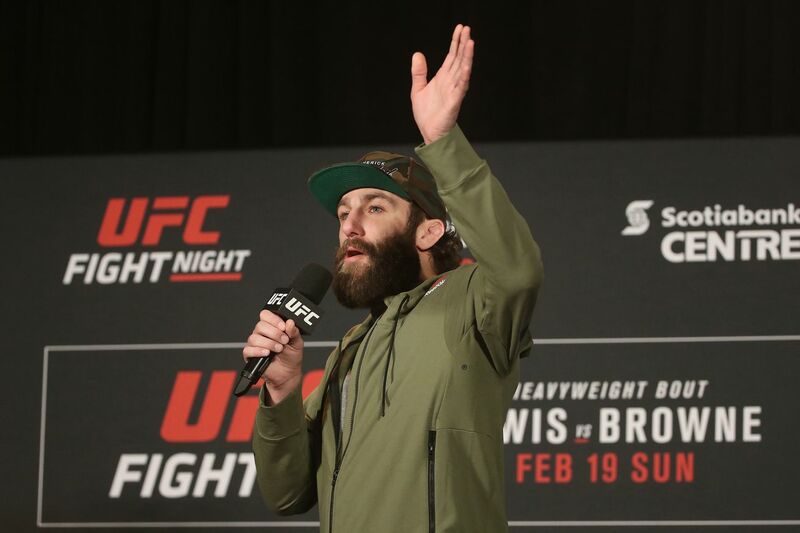 Get the Full StoryMichael Chiesa says it would be easier for him to accept a loss to Kevin Lee in a rematch if he was beaten fair and square. There was a bit of controversy during the UFC s Fight Night event in Oklahoma in June 2017. Kevin Lee was awarded with a late first-round submission win, despite claims of opponent Michael Chiesa of not tapping to the rear-naked choke that was locked in. Chiesa was greatly upset with the fight s presiding referee Mario Yamasaki, whom he believes should just crawl in a hole and never officiate again. And even after a year later, the TUF 15 alum still feels the sting of that loss, which he is adamant to get back. But if he ends up with another defeat in the possible rematch against Lee, Chiesa says he would be more willing to accept it, as long as he is beaten fair and square. We ve spoken to each other and if we rematch, when we rematch, if he beats me fair and square, so be it, you got me, Chiesa said on a recent episode of the UFC Unfiltered podcast transcript via MMA Mania . That s the nature of the beast, when you compete at the highest level you won t be undefeated. So if he beats me fair and square, it will be tough, but I can live with that. Chiesa actually likes his chances in a rematch against Lee, which he feels is another fight that is of main event caliber. I just didn t think that fight was going to play out the way that it ended, Chiesa said. I want to run it back, that s a good matchup for me. And like you guys said, it s got the hype and it s a main event fight, for sure. In the mean time, Chiesa s task at hand is his rescheduled fight against former lightweight champion Anthony Pettis. The two men will be facing each other at UFC 226 on July 7th in Las Vegas, as part of International Fight Week.